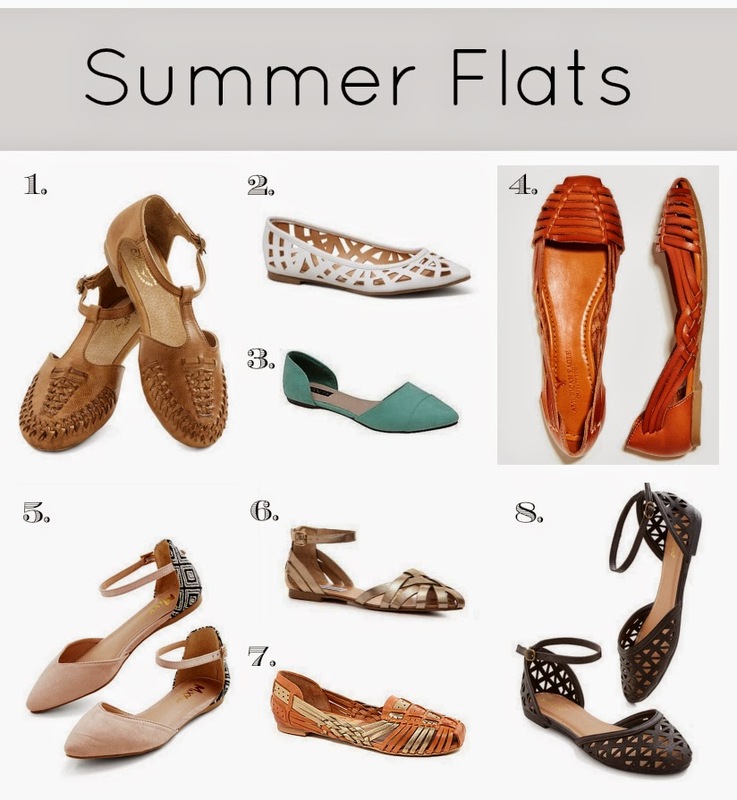 I'm in the market for some summer flats... can you tell? All of these pretty things are on my wish list (my birthday is on Saturday... hint, hint hubby :))! A lot of these picks are from Modcloth because their shoe selection is pretty amazing... you really need to take a look. Modcloth is one of those shops that I looove... and then I forget about. And then I discover it again and it's even more amazing! Sooo many fun styles to choose from! And you guys... shoes are the best because you can take an otherwise boring outfit and make it fun! A plain white tee, skinny jeans or boyfriend shorts and any of these pretty pairs of shoes would make a fabulous summer outfit. LOVE # 3 & # 5! Ohhhh, I love #3! And so affordable, too! I don't know if I'd be able to decide on a color though, they're all perfect!